I am writing to you veteran-to-veteran, man-to-man. However, I have decided to write to you publicly. The issue that I am writing about is too important, too many lives depend on it, and I cannot take the chance that this letter and the linked petition will only reach the eyes of one of your aides. Like you, I felt betrayed that my country sent me to fight an unjust war, though my war was several decades after yours, and in Iraq. I have spoken out against that war to the best of my ability, as you once did against your war before the Senate Foreign Relations Committee. In recent years you have found yourself on the Senate Foreign Relations Committee, but your attitudes towards war have changed drastically. I feel a moral obligation to do whatever is within my power to help these people who I once hurt. But I was not a lone actor in Iraq. I had the support of a nation behind me and I was taking orders from the world’s most powerful military. 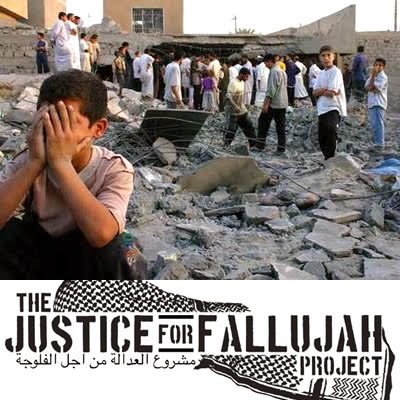 The 2nd siege of Fallujah was not exceptional; rather it was symbolic of our military’s conduct in Iraq and the way that our mission impacted the lives of Iraqis. Our war and occupation took so much from them. It resulted in hundreds of thousands of deaths, millions displaced, permanent environmental contamination, and a new repressive regime that most Iraqis regard as begin more brutal than that of Saddam Hussein. This is the legacy of America’s involvement in Iraq. The least that we can do at this point is to end our complicity in their suffering. I know that the US plans to send further shipments of Apache attack helicopters and Hellfire missiles. If we continue to send weapons to the Iraqi government, we will be further complicit in this violence. Iraqis have long known the Maliki regime to be brutal and repressive. This is not a regime the US should be sending weapons to. Some of your colleagues in Congress have voiced this same concern. We created a petition demanding that the US stop sending weapons to the Iraqi government. Since December 22, the Maliki government has been carrying out an operation in Iraq's al Anbar province under the banner of fighting terrorist groups that are hiding there, but it soon became clear that it was a widespread, armed attack directed at the residential areas in Rumadi and Fallujah, with random bombing of buildings using heavy artillery, tanks, and air strikes. The US recently shipped helicopters for the Maliki government's use an dis discussing sending an additional shipment of hellfire missiles. The US should not be selling, gifting, or loaning weapons to a government that is using them to kill its own people.